Arsenal FC Trophy Quest: Mirage or Reality? | ItuaLive! Arsenal FC Trophy Quest: Mirage or Reality? I just returned from watching an Arsenal game at a viewing centre. Arsenal lost by a lone goal to Newcastle United FC. I am an Arsenal fan, a Gunner so to speak. So it should be quite obvious I am pissed. I have supported Arsenal since 1999. I simply love the club. 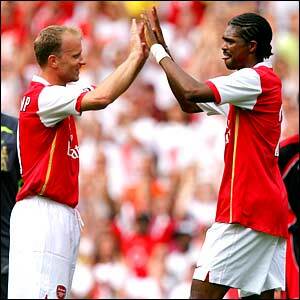 I was endeared to the club by Nigeria’s Nwankwo Kanu. I just loved the way we (Arsenal) played. It was simply sublime. One can say I have seen the good and bad times at the club. But after watching their lackluster performance against Newcastle, I was forced to rethink my loyalty for the club. Arsenal is simply not ready to win any silverware. Year after year, fans all over the world have put up with excuses made by the club. From building a new stadium (Emirate) to the team being too “young”. There is always a germane reasons Arsenal do not win anything . Arsene Wenger (The Manager) must know that he has run out of excuses for his failures. After nursing the pain of defeat for a while, I have come up with a few reasons why Arsenal may not win any trophy anytime soon. By Big names, I mean the likes of Christiano Ronaldo, Didier Drogba, and Muzut Ozil. We simply have no big player (save for Fabregas), who can win a match us a match. The truth is that whether Arsene Wenger likes it or not, money is part of the game. Big name signings actually do more than collect big pay cheques. The “Sugar daddy” phenomenon as exemplified by Chelsea Owner (Roman Abhramovich) and more recently Manchester City (Sheikh Mansour) would prove that if you pay them big, they will have to play big. These “big move” players have a way of bringing motivation into a team. A classic example is the Carling Cup final of 2007/2008 season between Arsenal and Chelsea. The Gunners completely controlled the game and should have won it by Theo Walcott’s goal. The game dragged on, and Michael Ballack who had had a quiet game managed to field a sublime cross to Didier Drogba who headed home. Ballack was bought for big bucks and he simply did a big buck job. Chelsea eventually went on to win that game. In the glory years of the “invisibles”, Arsenal could boast of players like Thierry Henry, Dennis Berkamp and Patrick Viera (not necessarily big earners at the time but big names in their own right), and would have won that game easily. Arsenal is the only top flight side that can hardly boast of a world class goalie. We seem not to have found worthy replacements for the likes of David Seaman and Lehman. Goal keepers are a quintessential element in any trophy winning side. 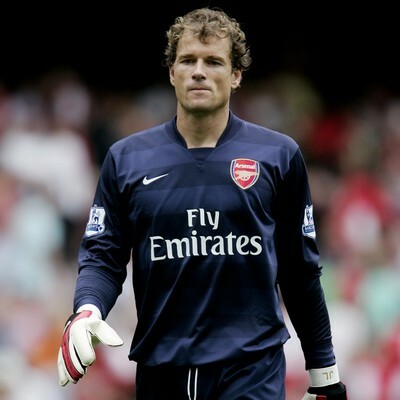 It would be worthy to note that the last time Arsenal won any trophy, Jens Lehman was in goal. He is the only goal keeper not to lose a single game in a Premier League season (He still holds the record till date). Lehman also managed to keep a clean sheet throughout the Champions League season until Alumina conceded two goals in less than 15 minutes. Now we have Fabiaski (flapi hanski) who gifted Chelsea the FA cup semi finals and was instrumental to Arsenal’s loss against Newcastle. Any team serious about winning laurels must have a quality goal keeper. Manchester United have Vandersaar, Chelsea have got Petr Cech and Real Madrid have Iker Casillas to name a few. The Arsenal back four has been a mess since the departure of players like Tony Adams, Martin Keown, Lee Dixon and Winterburn. Squilacci and Koscielny have not lived up to expectation. Clichy and Sagna overlap ever so often and Vermaleen can’t cover adequately enough. 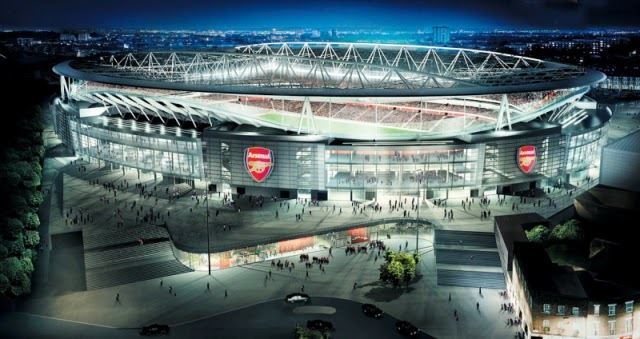 The Club incurred debt due to her movement into the Emirate Stadium and that has been the major excuse for Arsenals tumble in the past few years. That excuse ran out last season as Arsenal has managed to pay up its £100,000,000 debt. What is curious however is that while Arsenal was still indebted to the Emirate group, the contract agreement allowed 70% of transfer earnings to be reinvested in the club. Arsenal has made money every season (35million pounds 09/10). Arsene Wenger has simply chosen not to buy. This unnecessary shrewdness in spending has cost us players like Huntelaar, Joe Cole, and Filipe Melo. This is by far the most annoying point. By this policy, we are left to playing “kids” who fall like pack of cards when Didier Drogba shows up in a challenge. Players like Denilson are “bullied” all over the pitch. Teams like Bolton Wanderers, Stoke City, and Birmingham have continuously used this to their advantage. Other teams like Barcelona and Real Madrid that play arguably the same style of football with Arsenal never hesitate to pull the trigger when they are within range. But the gunners will rather pass their way into the net. The Odds are that if one shoots at the goal, he would either score or not. And if he does not score, the ball could bounce off the post and fall fortuitously for a second attempt (This is common sense). Arsenal FC is about the most unlucky club as far as injuries are concerned. At a time this season we had about 7 first team players out through injuries. And this seems to occur every season and at the most crucial points. I don’t see a Chelsea, or Manchester United winning games with key players out. Barcelona always flounders when ever Lionel Messi is absent. I am almost shooting myself in the head for including Monsieur Wenger in my black list but it’s a sad truth. Arsene Wenger, on arrival at the London club in 1995 was greeted by a newspaper headline (The Evening Standard) reading “Arsene who”? Arsene was a nobody in football parlance. He single handedly metamorphosed Arsenal’s “boring-boring” days to the present day “beautiful” football Arsenal now play. He is by far the most successful coach the club has had winning, 3 Premier League titles, 4 FA Cup competitions and 1 Champions League Final (ha ha ha). Fans now hold billboard that boldly say “Arsene knows” or “In Arsene We Trust”. Right now, Arsene seems not to know too much anymore. Arsene Wenger has kept faith with the most mediocre players on the planet. No other coach would still include the likes of Denilson, Diaby, Senderous, and Almunia on their squad after so many blunders. You may have noticed I did not mention Bendtnar (I simply love the dude so don’t bite me ok). Second, Arsene (sorts of rhymes with Arsenal don’t you think), for some reasons I haven’t yet understood tends to field a weaker team in seemingly important games. I have two examples that immediately come to mind. 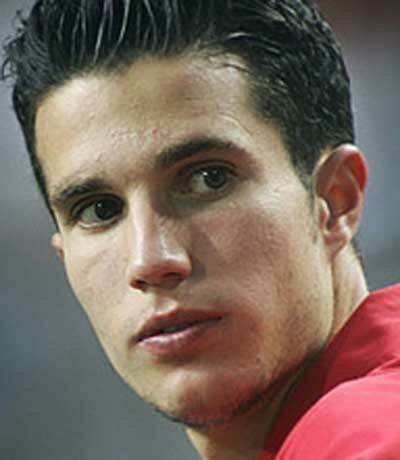 One, in an away game against Stoke City (2009/2010 EPL season), and in the FA Cup Semi Final against Chelsea. 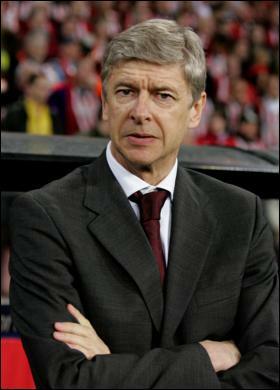 He decided to leave our best players (Samir Nasri and Andre Arshavin) on the bench when they were fit. Third, Arsene Wengers’s pride has made Arsenal lose some very good players. He doesn’t like it when people think he needs any player. Arsenal lost talents like Lassana Diara, Alexander Hleb and Mattiew Flamini needlessly. I can remember at least three times where Sir Alex Ferguson withstood transfers away from Old Trafford because he believed they were “needed” at Manchester United. As the French say, you either “love her or leave her”. I choose to love her. That is the funny situation I have found myself. I do not know for how long I will have to wait for my bragging rights. Whether Arsenal wins any trophy this season or not, we may keep hearing the same stories-“the team is young”, “there is believe in the team”-over and over again. I have decided I will stay put. To all Arsenal fans and haters out there, its GUNNERS FOR LIFE!